Atlanta-based Young Jeezy originally planned on having a background role in the music industry ( as a businessman, not as a rapper. Years before making his first Def Jam album ) Let's Get It: Thug Motivation 101, released in July 2005 ( he set up Corporate Thugz Entertainment and promoted Cash Money releases. From there, he branched out as a label boss and artist in his own right, releasing albums and mixtapes. Come Shop wit' Me, his independently distributed debut from 2003, allegedly sold more than 50,000 copies. As a member of Boyz N da Hood, he was behind a self-titled album (released just weeks before Let's Get It) that debuted in the Top Ten of the Billboard album chart. Driven by the hit "Soul Survivor," Let's Get It: Thug Motivation 101 eventually did even better, nestling at the number two spot in the Billboard 200. 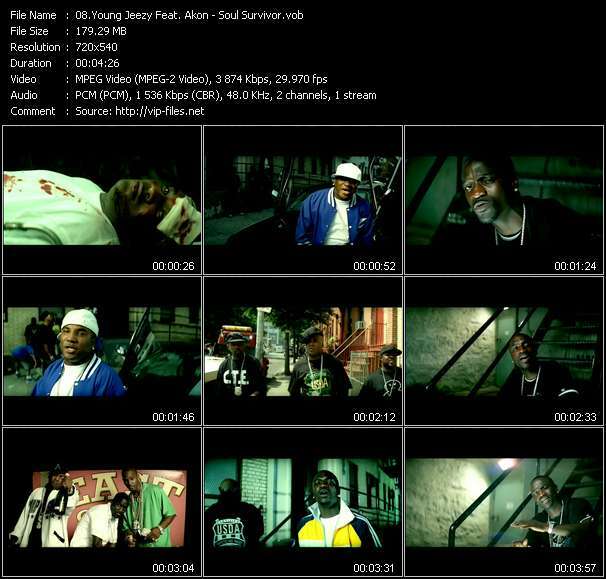 The Inspiration: Thug Motivation 102 followed in late 2006, and by that point, Jeezy had become one of the most prominent MCs; the album became his first number one smash. In 2007 he introduced his U.S.D.A. crew with the album Cold Summer, and then returned to his solo career a year later with the politically minded The Recession ) his second set to reach number one. In 2010 the single “Lose My Mind” announced the coming of his fourth major-label release. A diagnosis of Bell’s palsy would shift the rapper’s priorities, delaying the release of the album until late 2011 when TM:103 Hustlerz Ambition finally landed.